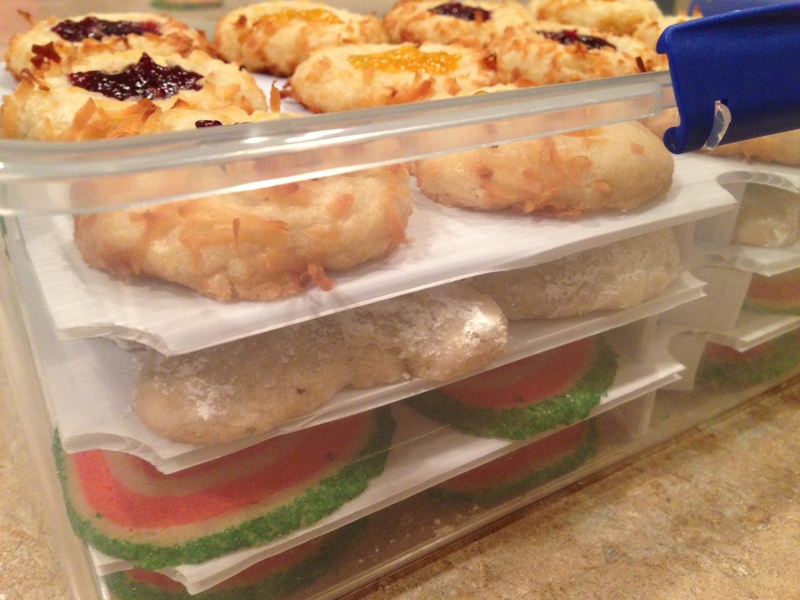 Mini desserts are neatly stacked, stored and ready to transport to my family Thanksgiving feast tomorrow using Sweet Stackers! Thanksgiving dinner is a feast of many different dishes and is VERY filling. It always feels like there is no room for dessert, but Thanksgiving desserts are just as traditional as the main course. Pumpkin pie, pecan pie…must eat one, tiny, sliver of pie, right? Tiny bite-sized desserts are perfect for a huge feast like this because they allow you to sample many different treats. 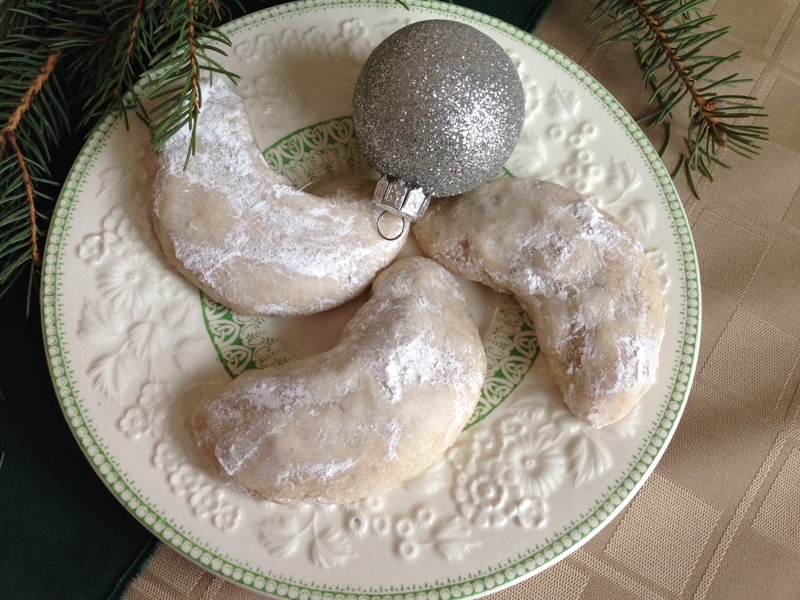 This recipe was inspired from a recipe on the “Created By Diane” blog, but I made the recipe even more bite-sized. 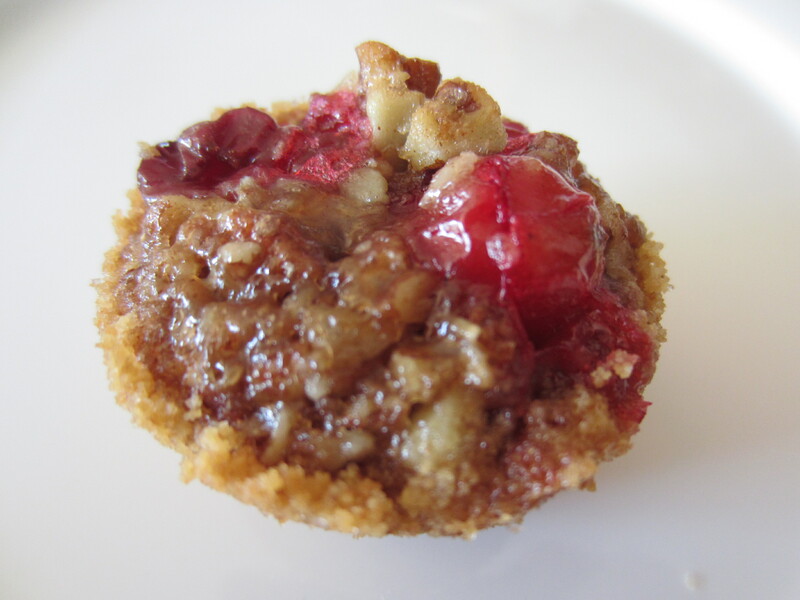 This recipe is very tasty and combines the sweet from the graham cracker crust and filling with the tartness of fresh cranberries. Oh and don’t forget the hint of “a little something, something” (bourbon). Aren’t they so dang cute and full of fall color? Preheat the oven to 350º. Grease or lightly spray mini muffin tins (36 count total). Mix the graham crackers, sugar and butter together. 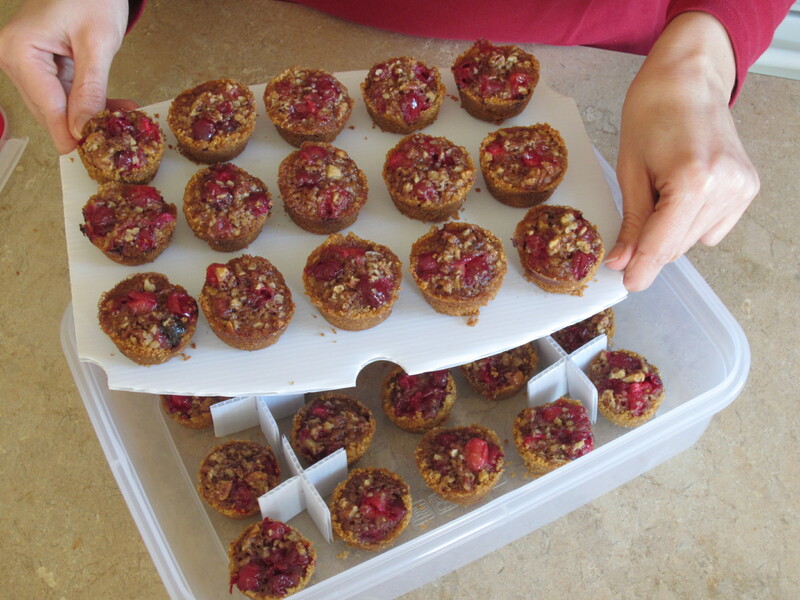 Place a heaping tablespoon of crust mixture to fill each mini muffin cups. Press firmly with your thumb for form a crust up the sides of each cup. Toast the pecans for 3-5 minutes in a small fry pan over medium heat. 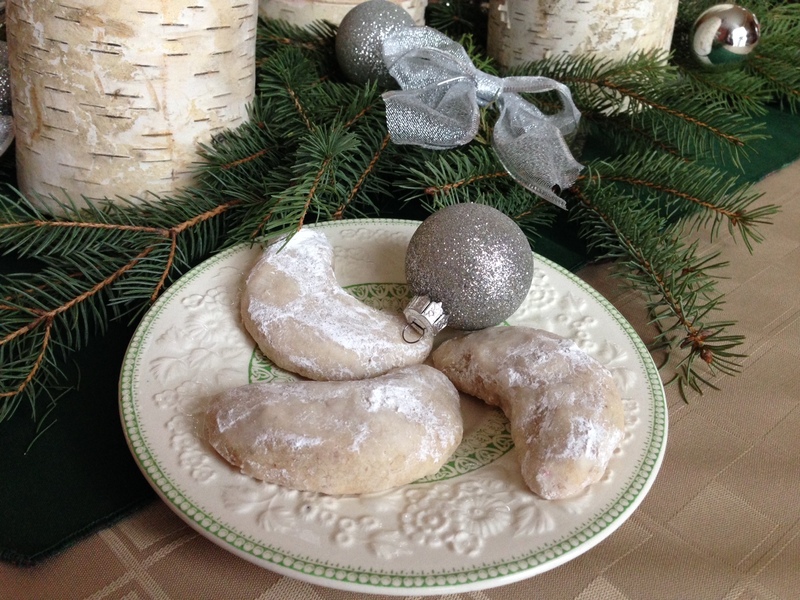 For the filling, mix the flour, bourbon and cinnamon. Add the toasted pecans, cranberries and syrup and mix well to combine. Spoon another heaping tablespoon full of filling into each crust. 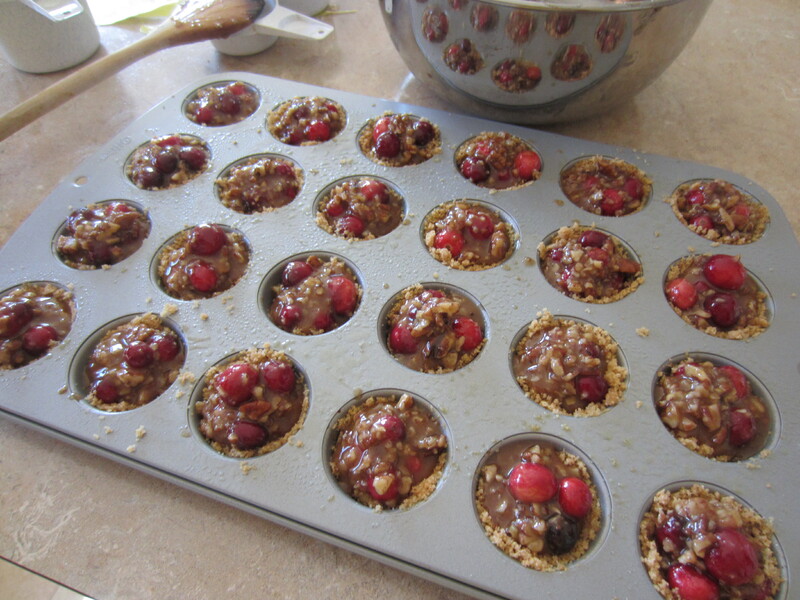 Evenly filling with a good combination of nuts and cranberries. Bake for 22-25 minutes. Remove from oven and let cool in the pan until the crust sets. Yum! 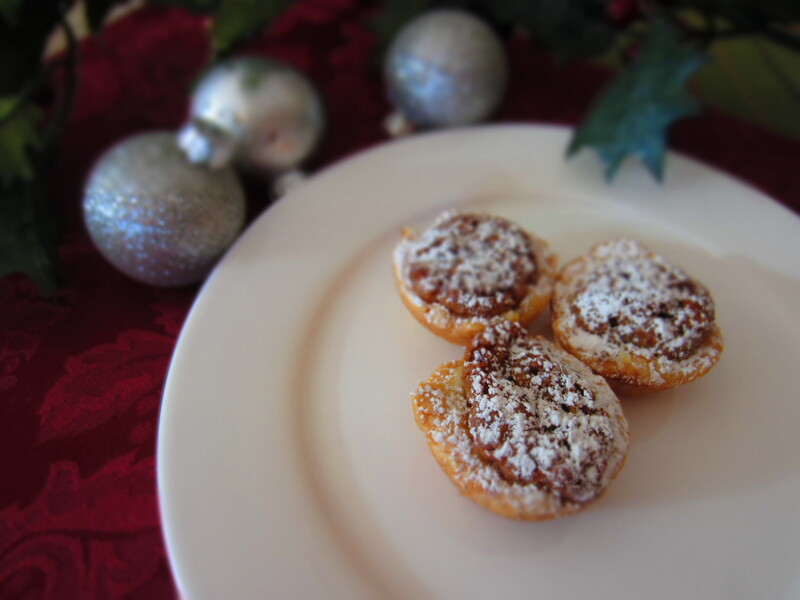 They are not too sweet and not too tart – a perfect bite-sized treat after a filling Thanksgiving dinner! Hope you and your family have a Happy Thanksgiving!